It is said that contemporary Czech culture can be discovered on the silver screen or across the airwaves and internet. Petra Nemcova, Bohemican.com will present the "fun and famous-side" of the Czech people. Film, fashion, popular music, and modern life are found here. 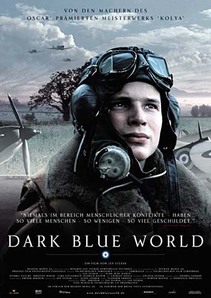 Dark Blue World is a Czech film based on true events during the Second World War. The film by Czech director Jan Svarek centered on a group of Czechoslovak pilots who fought for the British RAF during World War II. A squadron of Czechoslovak pilots in training are put through flight preparations in order to lend a hand in the fighting for the British against Nazi Germany. 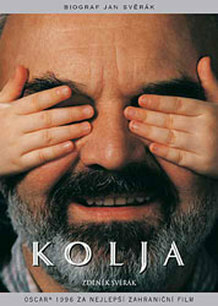 Set in 1988 Czechoslovkia, Kolya is a film focusing on a man whose life is turned upside down by the arrival of a small Russian boy. The film won international attention and showcased the directorship of Jan Svěrák. He directed his father, Zdeněk Svěrák, in the role as František Louka, a middle-age cellist. He becomes blacklisted and finds money hard to come by until a friend presents a way to make some extra pay. All he has to is to participate in a fake marriage to a Russian woman so she can stay in Czechoslovakia. The woman hopes to then use her new citizenship to reunite with her boyfriend in West Germany. She has no choice but to leave behind her Russian-speaking five-year-old son, Kolya, for Frantisek to care for. The relationship between the two makes the movie and scenes from the 1989 Velvet Revolution add a unique perspective. Beer sales competition is a professional sport here in the Czech Republic yet brand loyalty usually outweighs flashy commercials. 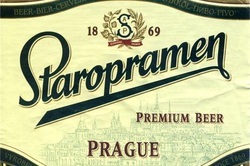 The numerous breweries in the Republic produce their unique styles and tastes that associate themselves with cities and regions. 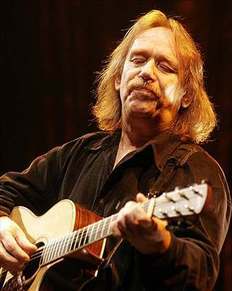 A native of Ostrava, Czech Republic, Jaromir Nohavica is considered to be the one of the nation's finest folk lyricist and songwriter. Americans can think of him along the lines of James Taylor. He first gained noterity in the 1980's with Lásko, voníš deštěm translated to mean, "You Smell of Rain, My Love". His songs have political, humorist, and cultural overtones. My kids love listening to his songs geared toward children like Kozel and Tři čuníci: Three Piglets. Petra was born June 24, 1979 and grew up in Karviná in the Moravian–Silesian Region of the Czech Republic. In addition to a successful modeling career, she has found television host, author, and philanthropist. Injured in Thailand by a tsunami resulting from the 2004 Indian Ocean earthquake, while her fiancé the photographer Simon Atlee was killed, Němcová is the founder and chair of the Happy Hearts Fund. This fund continues to help those in need that lost and suffered the most due to this catastrophe. A Czech Republic-based folk group that spins traditional Moravian and Bohemian folk tunes with modern rock arrangements. 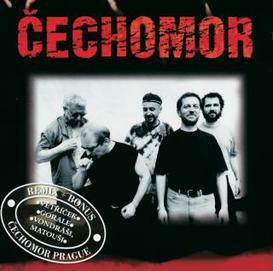 It is said that former Czech President Vaclav Havel considered Cechomor one of his favorites.